Job search during December is frustrating to many. However, the holiday season offers the opportunity to network with a slightly different focus than before. For example, holiday gatherings connect you to people you might not otherwise network with. Join us for a discussion on the holiday season and how best to use this time. Join Linda Trignano on Wednesday, November 30th, from 9:30 am – noon at the Parsippany-Troy Hills Library for a discussion on the holiday season and how best to use this time. “This time of year gives you some time to reflect on your job search, your skills, and your contacts and see how you can improve your chances of landing your next job,” she said. Linda Trignano provides coaching and consulting to managers and teams to improve communications and increase productivity. 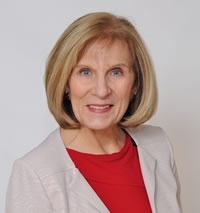 Through her firm, Trignano Consulting, LLC, she helps create communication programs that transform the way individuals and business groups communicate, connect and collaborate with their customers utilizing DiSC assessments. She focuses on three critical areas – how you speak, how you come across to others and improving your online image. Depending on your needs, she customized programs to include one-on-one consulting, workshops, seminars and keynote speaking. She may be reached at ltrignano@trignanoconsulting.com.